Life has plenty of journeys. 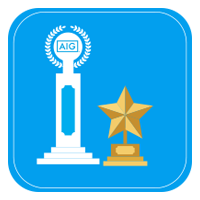 Keep those journeys going with "Insurer of the Year" AIG Malaysia Insurance Berhad. 5 things you might not know about car insurance. Click here to find out more! * Note : Road Tax Renewal with Delivery is currently available only for vehicles used in West Malaysia. AIG now offers windscreen repair, right at your home. 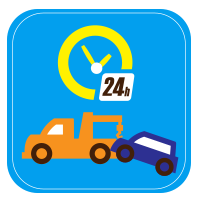 It's as easy as making a call and setting the date with our windscreen repair panel workshop nearest to you. Click here for FAQ. Terms and conditions apply. Service available in selected states within West Malaysia. If your vehicle is damaged after an accident, just bring it in for repairs to our panel workshop and we will take care of the bills. Our dedicated auto claim specialists will liaise with the workshop on accident-related repair costs. We'll reimburse you the market value/agreed value* of your car, in the event of theft or total loss caused by fire. Just make sure you lodge a police report immediately. *If your vehicle is covered with an agreed value policy. 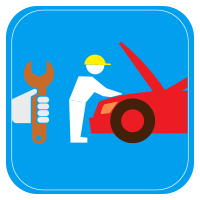 For your vehicle repairs at our panel workshop, you'll be entitled to enjoy 1 year warranty on all repairs done. We offer a selection of add-on coverage, which is comprehensive for you and your vehicle while on the road. For an extra premium, you can choose to extend selected coverage such as windscreen, passenger protection plan, special perils (in case of flood or natural events) or accident guard. If your vehicle is covered with an agreed value1 policy with us, you'll get the full pay-out on total car damage. 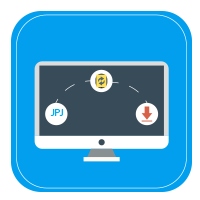 It's always recommended to get covered with us on agreed value1 policy. With every Comprehensive Car Insurance coverage, you'll be entitled for free road assistance, offering services such as change of punctured tyre, battery, towing service, accident assistance, out of petrol and more. Car Insurance not expiring yet ? Car Insurance expiring soon ? Renew your Car Insurance and Road Tax together with Delivery to your door step ! We provide Road Tax Renewal Service with Delivery when you renew your Car Insurance online with AIG via B Infinite. AIG Car Insurance is underwritten by AIG Malaysia Insurance Berhad (795492-W).